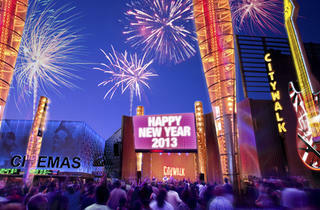 Celebrate New Year's Eve at CityWalk with four stages featuring live musical entertainment. Starting a 9pm, guests will be watching a live feed of the ball drop in NYC's Times Square displayed on giant outdoor screens. 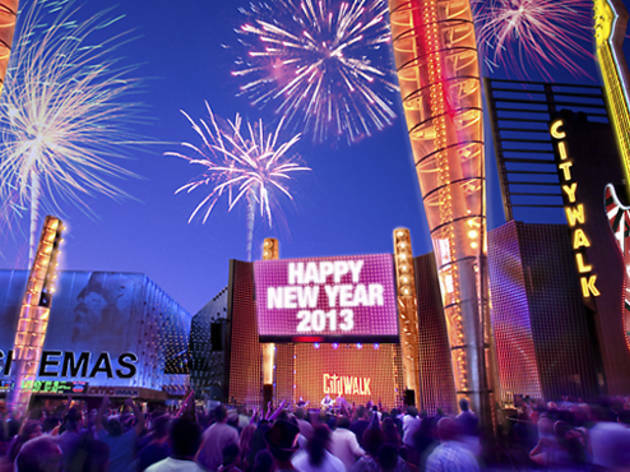 The party continues until the stroke of midnight when fireworks, viewable from all four stages, and pounds of confetti are released above the crowds shouting, "Happy New Year!"